I nearly called this post “The Fizz Show” she wants her own show. Fizz has been missing from my last couple of posts. That is not because I am neglecting her, No I have been neglecting my camera. The weather has been so terrible here that for the last couple of days I haven’t bothered taking my camera out with me. It is dark and raining with a constant gale force wind. So Fizz has had all of my attention. She didn’t mind. I realise that most of my readers consider Fizz to be the leader of this team and see me as the side kick, I am not a jealous man, she hasn’t done anything particularly noteworthy just recently so I thought that tonight we could reflect back on what was her finest hour. Cast your mind back to the end of March. We had only just started going out together. I didn’t just grab her out of the garden when I arrived here. 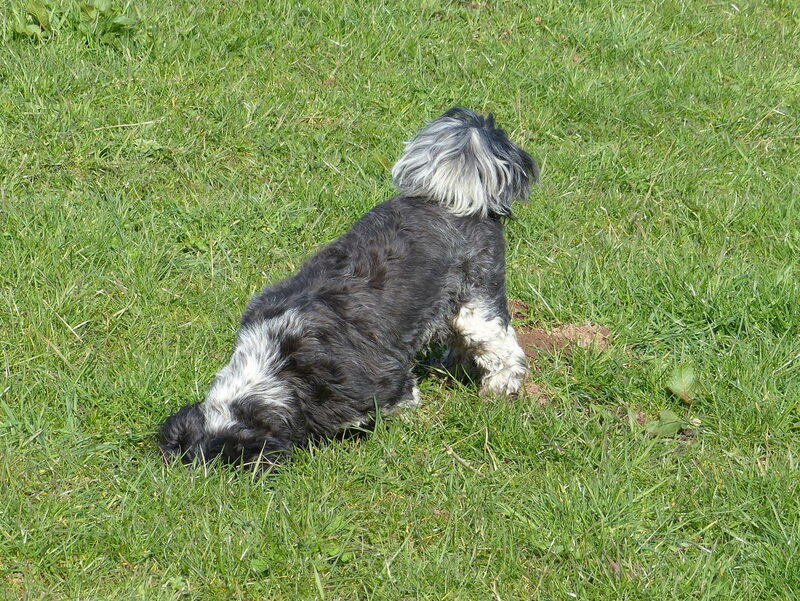 My landlord suggested that as I was out for several hours each day maybe I should take his dog along. “What does she do?” I asked. 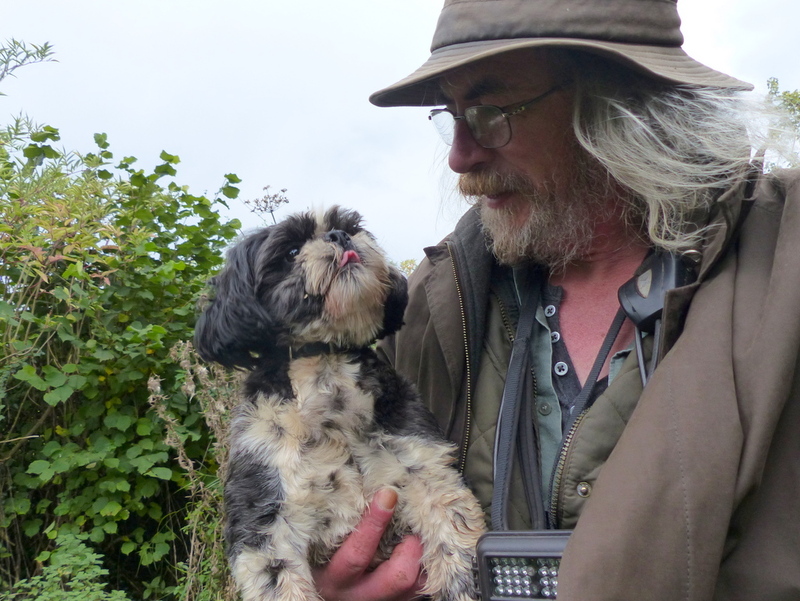 “She is a trained nature detective dog and exactly what you need,” he replied. 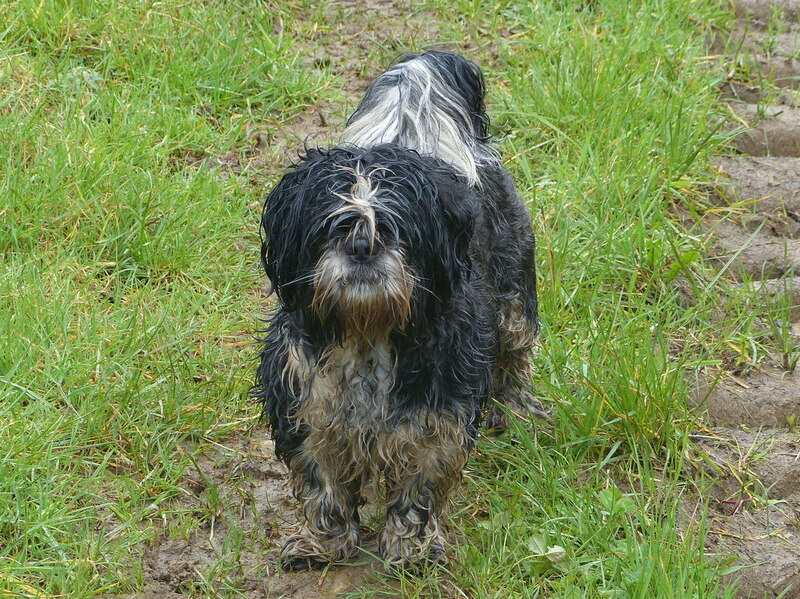 It had been a very wet winter and quite frankly she looked a bit scruffy. I don’t normally hang out with scruffs, I’ve got an image to maintain. I decided to give it a go, I had nothing to lose. At first it probably wasn’t great. She was the jealous sort and she ate everything that I tried to photograph. This isn’t good in a photographer/photographer’s assistant type of relationship. When her moment came I knew exactly what was on her mind and tied her to a tree while I took the pictures. I think that she wanted to make Moleburgers but I wasn’t up for that. I guess that is what started our relationship. I just really created this post because I know that there are some people who really like Fizz. She is fine she isn’t being neglected but right now it is really difficult to photograph anything. I am a hippy and an anarchist. The way that I look symbolises my freedom. I am plainly nobody’s servant. My long grey hair and beard represent my independence. She is a scruff. 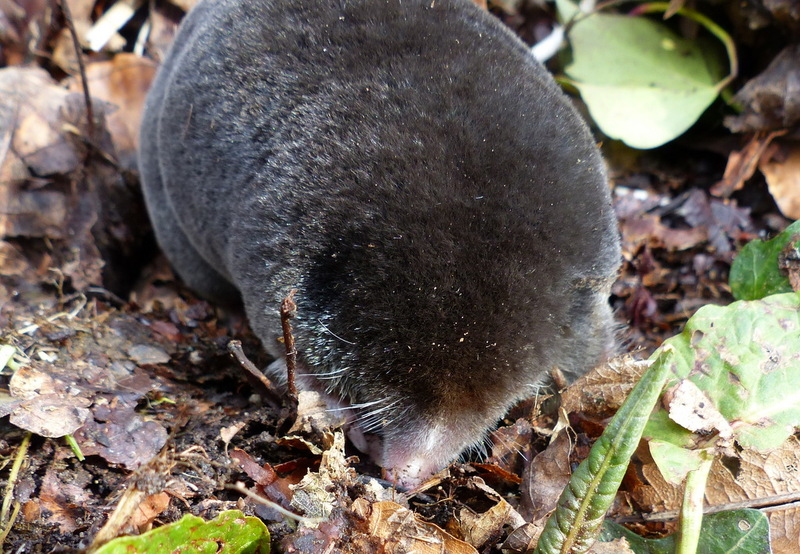 How lovely to see the mole photos – well done Fizz. Your blog is turning into my favourite read Col, thanks for such lovely words! 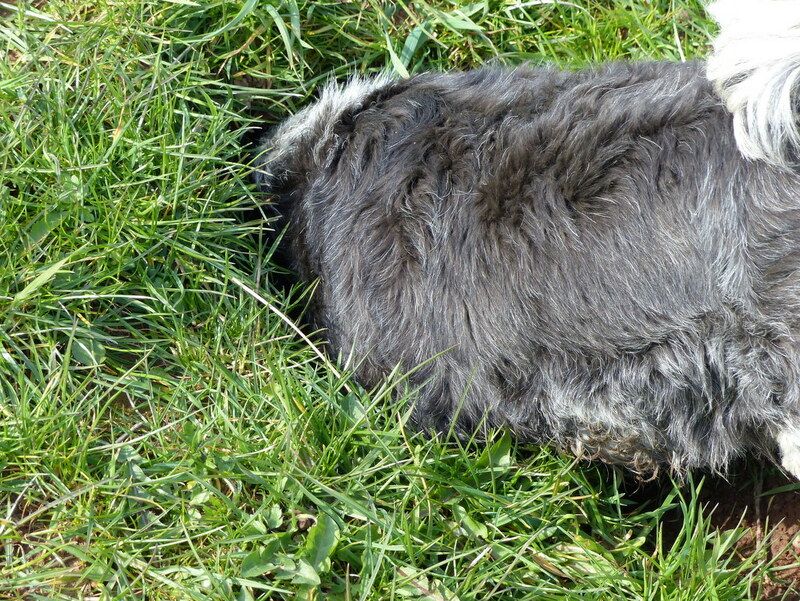 I’ve only ever seen dead moles. That was a rare treat. Another piece of magic all round. I must say the mole looked much smoother than the other two. You have really opened up a new world for me. Thank you very much for saying that John 🙂 It is a wonderful little world out there. I am really enjoying your posts on the Australian bit of it. Nothing wrong with being a scruff. 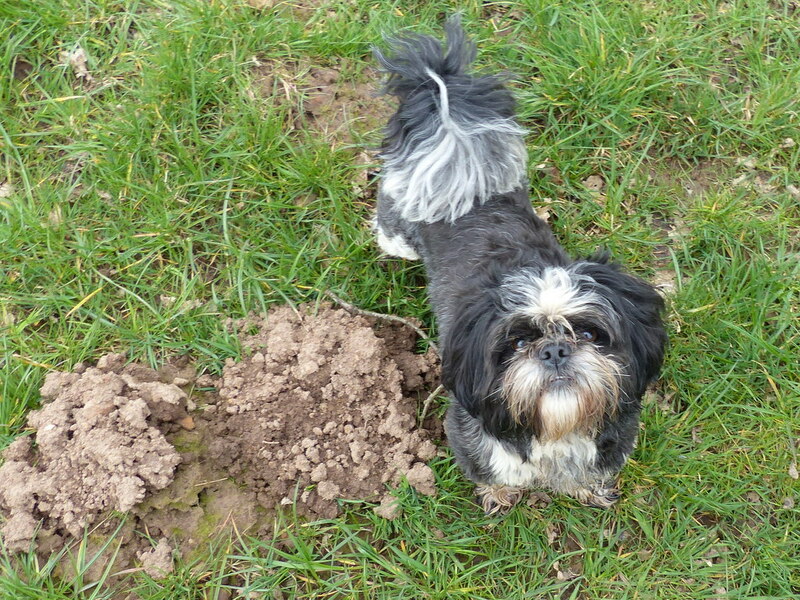 Worrying about one’s appearance would get in the way of mole hunting. 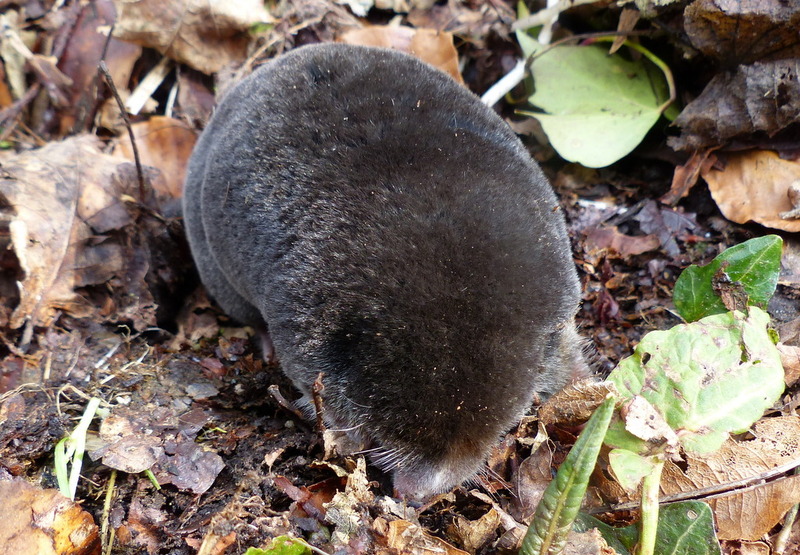 The mole photos are great. 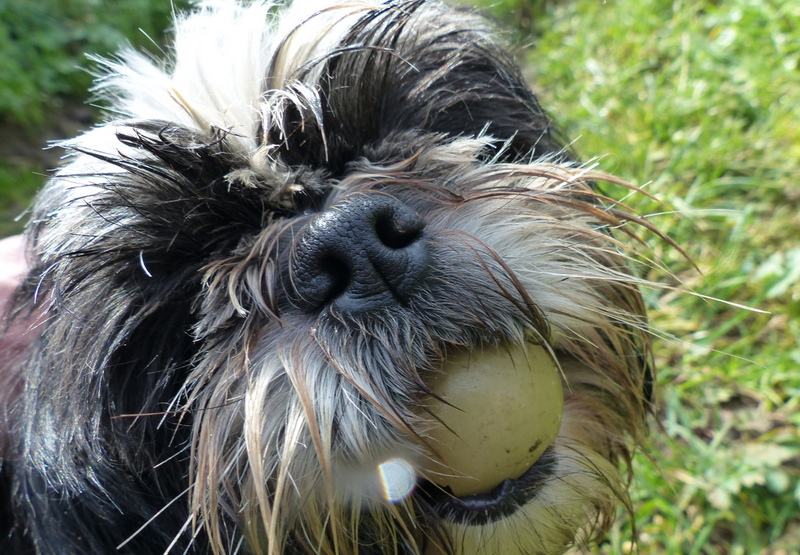 Fizz is a very clever and attractive little dog. Many thanks Clare 🙂 Fizz is actually quite plain. I am just a great photographer. Ouch! OUCH! Stop doing that! I am glad to see that Fizz is keeping you in order! Thank you Ann 🙂 It does have very beautiful fur. Being new to the blog, I hadn’t realized that Fizz belonged to another. Lovely story, thanks. What a charming portrait in the 1st image. But that 3rd image of Fizz is utterly adorable. She is fast becoming a favourite amongst us followers. 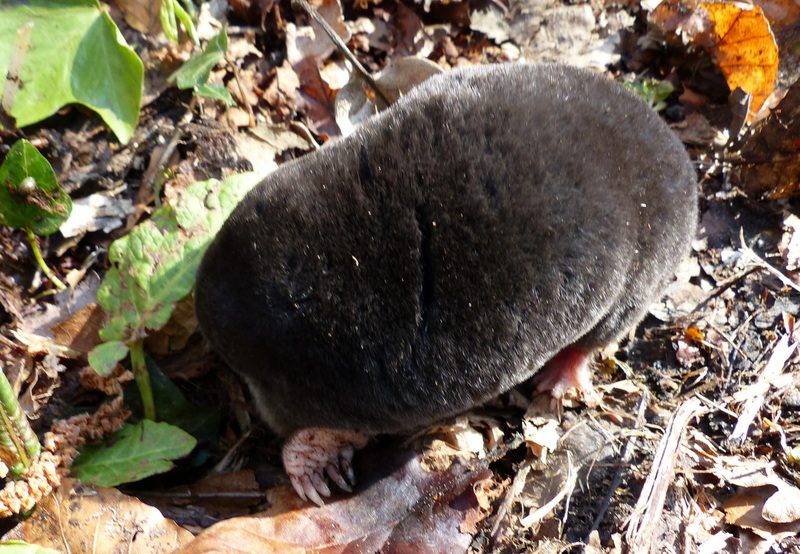 And as to the mole…….thanks for sharing…….I’ve never seen one before and certainly not when I lived in country Sussex in the UK in 1978. After reading your blog each day, I sometimes wish I was back in country Sussex tramping through the woods as I often did back then. Of course I didn’t have the same appreciation of nature and the little critters who make up the countryside then (as I do now). One never appreciates one’s life so much as when its gone and in the past. And I’m sorry to say walking in the Australian bush is just not the same as in the English countryside. It’s so much bigger and drier (for the most part). A walk in the English countryside is utterly charming. A walk in the Australian countryside, while fascinating, is usually a long trek. 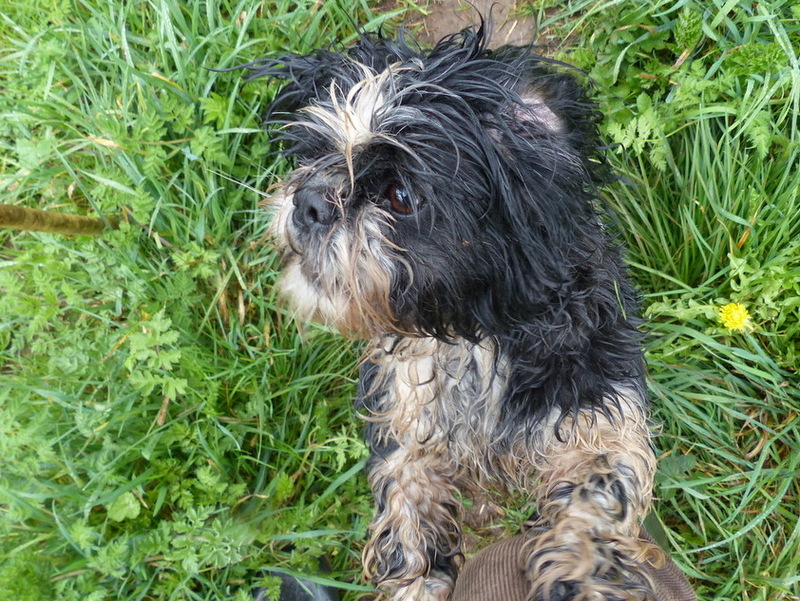 Sorry to hear about the rough weather – no fun walking when there’s a gale blowing and fierce rain. Wonderful story. You have a great friend there! Thank you Dennis 🙂 Yes, I noticed that. I am grateful. 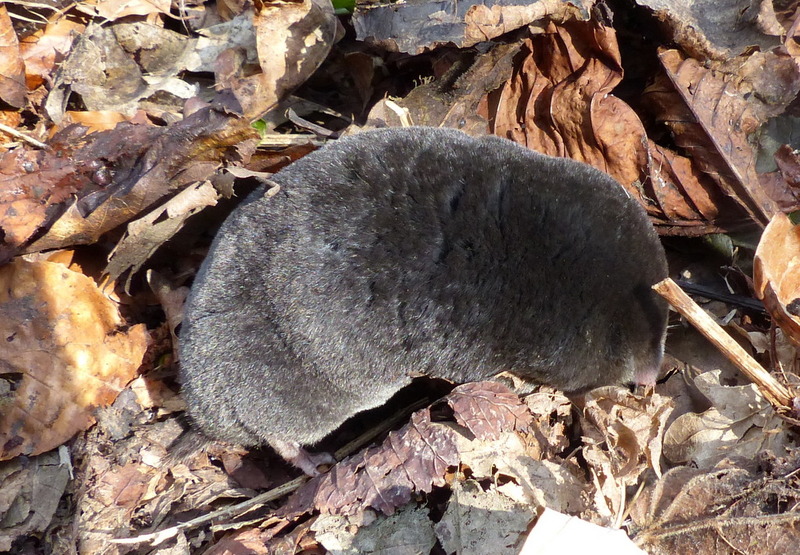 I had no idea a mole could be so charming! And I could almost feel the fur! Very memorable photos! Fizz is a great character. I wish Fizz was in charge of the world. The world needs more hippies, anarchists and mole-finders. Fizz should run for public office. 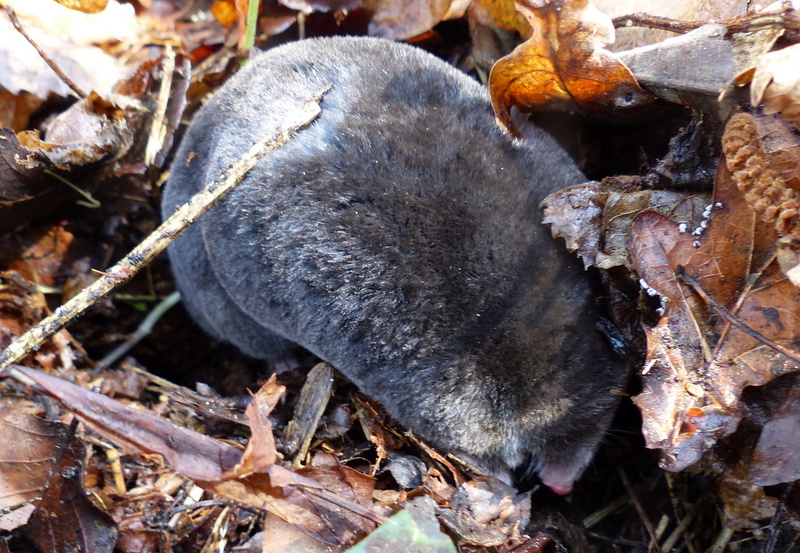 You are so lucky to have seen a live mole. The only one I have ever found was dead, out on the salt marshes near Boston, Lincolnshire, many, many years ago.. Thank you John 🙂 That’s what I thought. I am grateful. Great post, Colin! You know how I love Fizz here in the US, and many others on Facebook and Scrapbook.com are loving her too. She just has that natural charm. As always, thanks for sharing your heart and soul with us! Happy Trails! I am so pleased to see a photo of you! 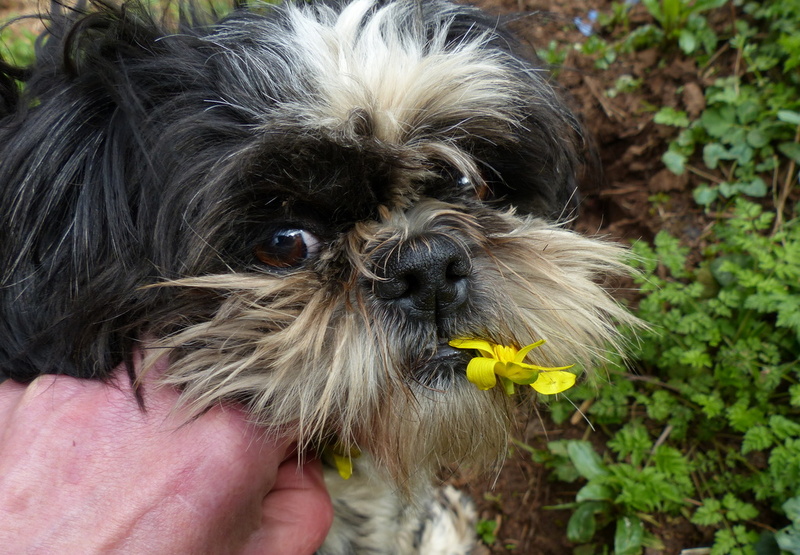 Well, I am the non-dog-loving sort… but I have to admit there is great value in a nature detecting specialist leading your excursions. Fizz does grow on one. 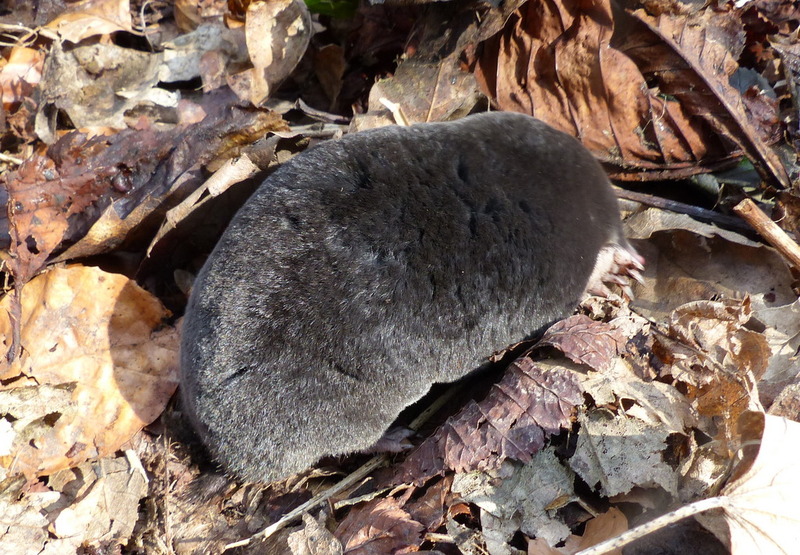 The mole is neat to see – love those crazy feet. I wouldn’t have guessed their silvery fur would look so appealing. 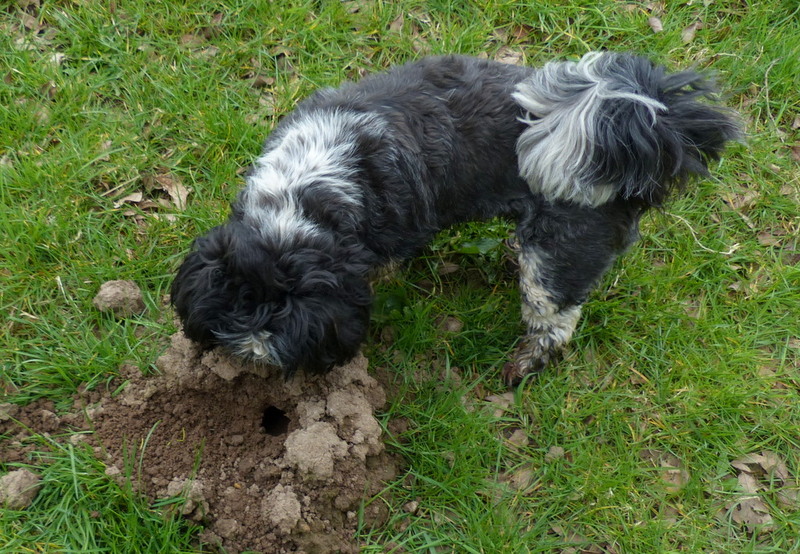 I suppose I imagined more dirt and spiderwebs, but this could have been a tidy mole.